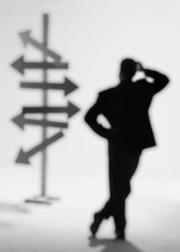 Decision making can be regarded as the cognitive process resulting in the selection of a course of action among several alternative possibilities. Decision making is the study of identifying and choosing alternatives based on the values and preferences of the decision maker. Making a decision implies that there are alternative choices to be considered, and in such a case we want not only to identify as many of these alternatives as possible but to choose the one that has the highest probability of success or effectiveness and best fits with our goals, desires, lifestyle, values, and so on.